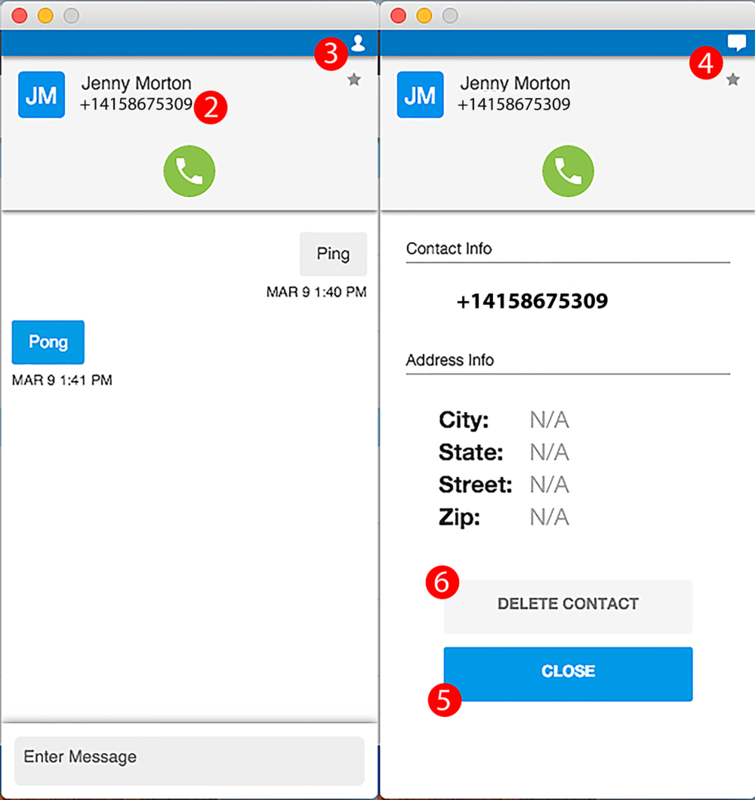 Contacts from your PBX are loaded automatically when you sign in and listed for you to search through upon logging in or opening Jive Desktop. 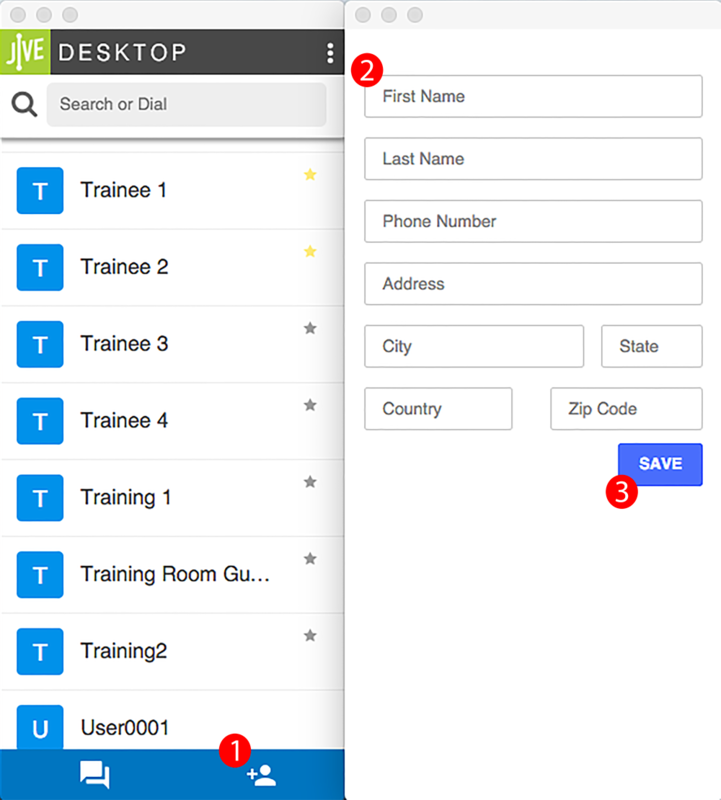 Added contacts will only appear within Jive Desktop and do not change the directory on your phone or other apps. For further information, hit in the top right corner of the window. Switch back to "Chat" view by hitting in the top right corner. You can only delete contacts from outside the PBX.